One of my favorite things to do is share my favorite movies with someone who hasn’t seen them before. It may sound creepy, but I like to watch their reactions as much as I like to watch the movie itself. 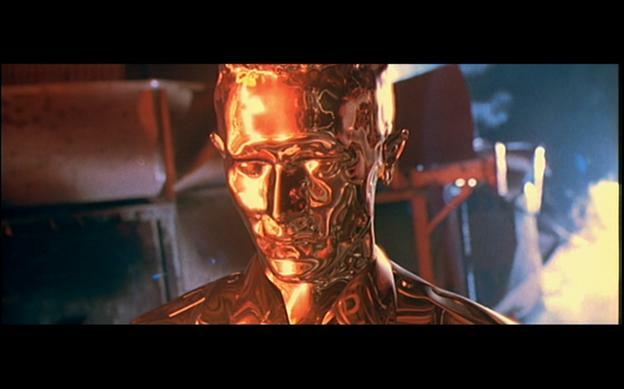 The Terminator (1984) was the breakthrough project for writer/director James Cameron (Titanic, Avatar). It stars Arnold Schwarzenegger as the titular villain, a cyborg assassin sent back in time to kill Sarah Connor (Linda Hamilton); humanity’s only hope in the future war between man and machine. 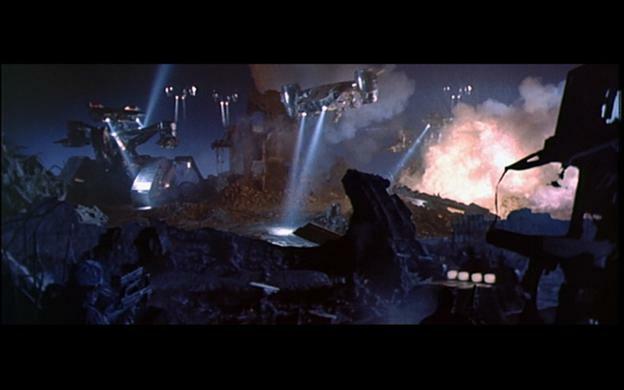 Kyle Reese, a human protector (Michael Biehn) is also sent back to prevent the Terminator from completing his mission. All manner of mayhem and time-travel paradoxes ensue in this seminal classic. 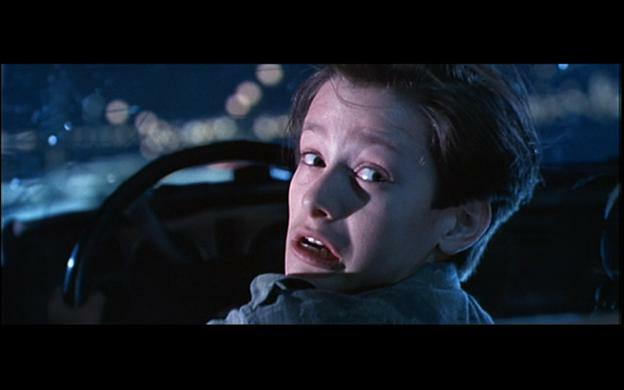 Terminator 2: Judgment Day (1991) continues the story with John Connor (Edward Furlong), Sarah’s son, now ten years old. Schwarzenegger reprises his role, this time being tasked with protecting young Connor from an advanced model of terminator (Robert Patrick). The action is ramped up dramatically and the paradoxes become even more paradoxical in this highly successful sequel. Whether it’s better than the original is debatable, but T2 has undoubtedly achieved action movie pantheon status. Kyle’s Conclusion: Out-dated effects aside, The Terminator lives up to its lofty reputation. Has since seen it again and confirms that it has definite replay value. Kyle’s Conclusion: Great sequel that is a worthy addition to the franchise. The special effects were much improved but on the whole, but this one was, surprisingly, not quite as exciting as the original. Alright, Kyle’s part in this story is over for now. I have to say that he made some pretty astute observations. The Terminator is one of my all-time favorites and I’m glad that Kyle appreciated the tense and streamlined story-telling. I’m also glad he didn’t think the film was too implausible to enjoy. Between the two of us, there was a lot of laughter at the expense of the John Carpenter-esque synth-tones, the clunky stop-motion animation and the unrealistic rubber mask that occasionally doubled as Arnold’s face. As for T2, it was interesting to take in the story without the baggage of having seen it so many times before. 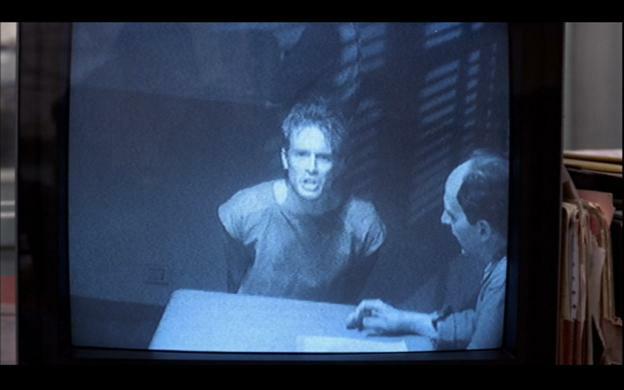 Cameron really made some ballsy decisions regarding the new direction of the story. 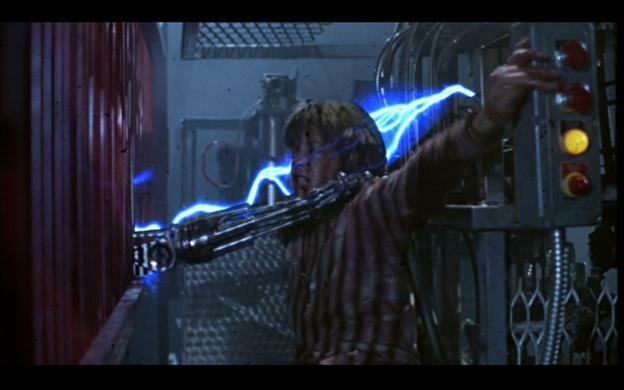 When experiencing these films with someone who has never seen them before, the radical transformation of Sarah Connor and the decision to turn Arnold’s character into the hero seemed like risky moves. They definitely paid off, but when giving the film a fresh reassessment, the degree of difficulty for this sequel was definitely higher than I once thought. While Kyle seemed to have more associations with T2, he ended up praising the original as the slightly stronger movie. What it lacked in modern effects, it more than made up for with its taut narrative and thrills. Kyle liked T2 as well, but when it came to splitting hairs, the sequel was a tad bloated and not as personal as the original. Watching these movies with Kyle has been a lot of fun and even illuminating. I hope to be able to make this type of post a regular thing. Based on Kyle’s comments, would you ever see these films? What do you think?